Here we are. We made it through our first year of retirement! And what a ride it has been. We moved from Colorado to Florida, driving back and forth through 12 different states. We visited two new countries, a US territory, and five different islands. And we've done it all on a reasonable budget, having a great time all along the way. We lost Deb's Mom this past year, a profound loss to be sure and one that followed us losing many other close friends and relatives. But we've tried to let these tragedies inspire us to live our lives more fully, with more gusto. We've been inspired by music all along this journey and that's what this post is about. We put together a youtube playlist of all the songs (we think we got them all) that have been linked from our blog posts in the past year. This post may be a little or a lot selfish, but we've enjoyed these songs and hope you will also. For us, each one brings back memories of the places and the experiences. This is only the start of our retirement journey but one year down is quite a milestone for us. 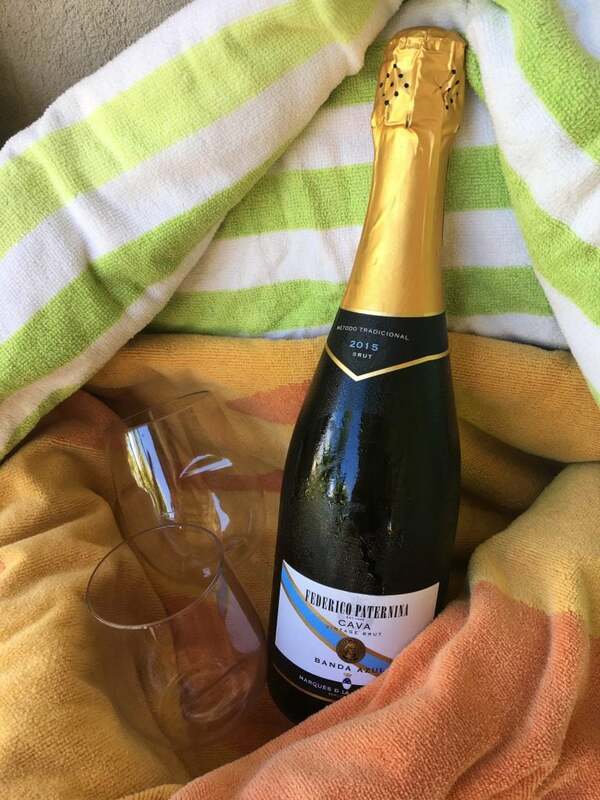 As soon as I hit publish on this post, Deb and I are going down to the beach with a bottle of bubbly (Cava from Spain) to watch the sunset. Maybe we'll finish the night with rum from Puerto Rico. We hope you've enjoyed reading about our first year of freedom (that's what retirement means to us). We'll see what kind of trouble we can get into in the next year - we've got more good blog topics in mind for sure. Salud! From the youtube page, click PLAY ALL and enjoy! Something to celebrate, and a great place to do it. Congratulations. Have an awesome time tonight. Thank you, we had a great evening! Thanks Navroop – hope everything is great with you! Congratulations Norm! Quite an adventure with more to come! Wow – a year already? I’m very happy for you and Deb!